Hello everyone! I have an idea of a new game. Here how it goes. You choose one from two crossover couple I ask. And then you ask another couple. 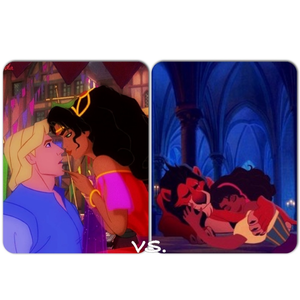 A: Snow White's Prince and Thumbelina or Pocahontas and Denahi? Jack Frost and Elsa or Jack Frost and Peri? C: Jack Frost and Peri. Merida and Hiccup or Anna and Flynn? Belle and John Smith or Belle and Eric? 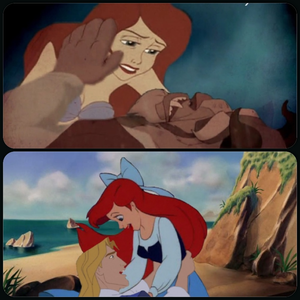 Aurora and Thomas or Ariel and Thomas? Alice and Peter Pan or Alice and Taran? Dodger and Angel or Dodger and Rita? 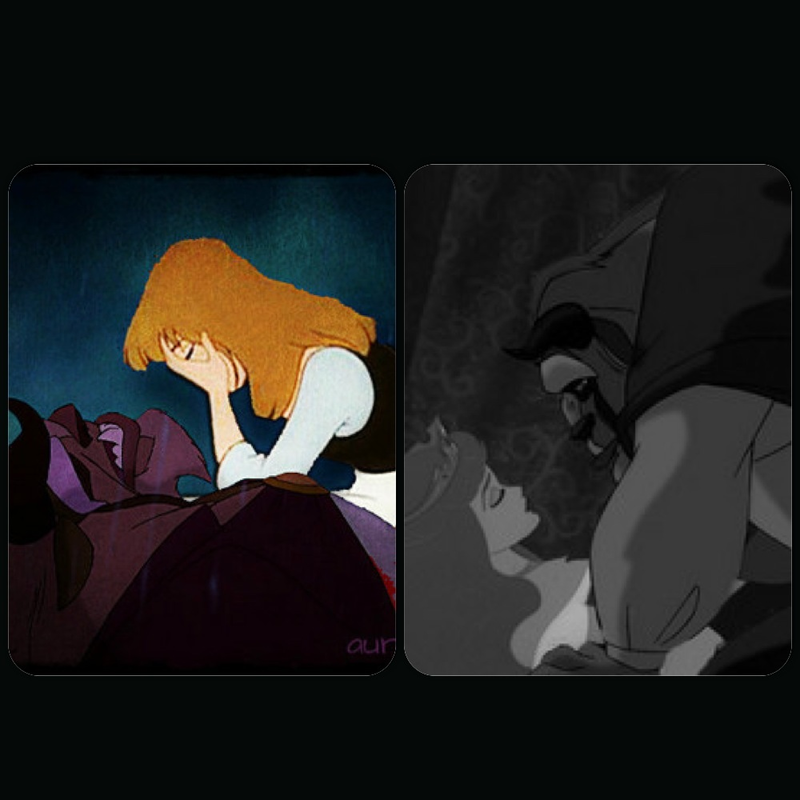 Aurora and Hercules or Eilonwy and Hercules? Aladdin and Tiana or Aladdin and Esmeralda? Moses and Kida or Kocoum and Tzipporah? Cinderella's prince and Ariel or Ariel's prince and cinderella? Wendy and Jim or Wendy and Taran? Kenai and Mulan or Kenai and Pocahontas? Charlotte and Genie or Charlotte and John Smith? 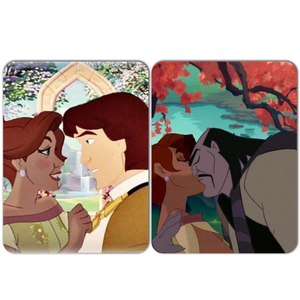 Odette and John Rolfe or Odette and Eric? Jack Frost and Rapunzel or Hiccup (Older) and Rapunzel? Hiccup and Merida or Hiccup and Rapunzel? Guy and Fawn or Guy and Rapunzel? Snow White and Aurora or Aurora and Adam? Flynn and Anna or Flynn and Merida? Jim and Ariel or Jim and Melody? 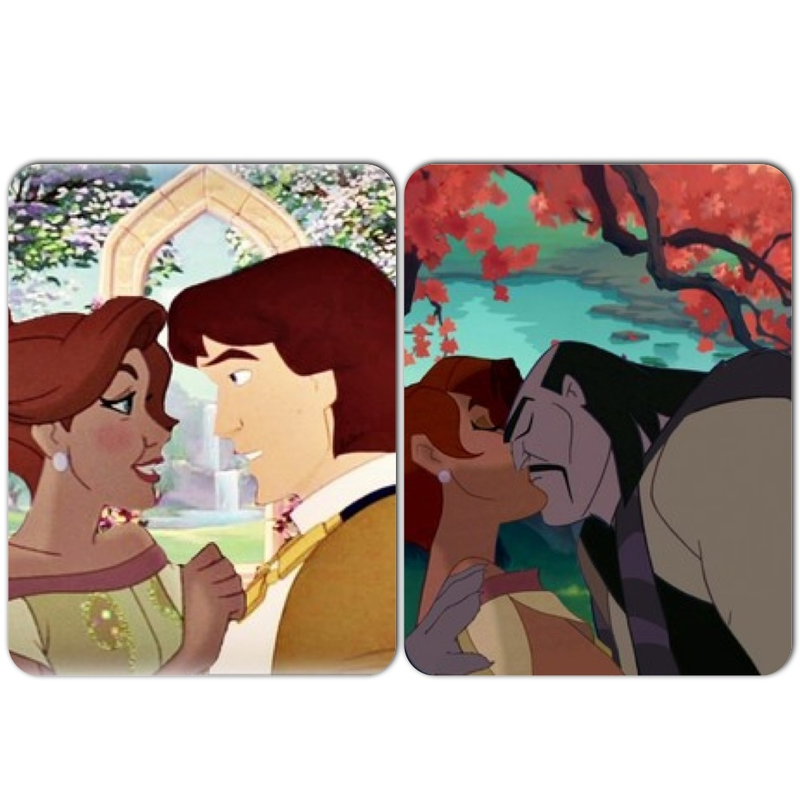 Belle and John Rolfe or Belle and Phoebus? Ariel and Ramses or Ariel and Naveen? Tulio and Meg or Tulio and Jasmine? Bagheera and Nala or Shere Kahn and Nala? Sinbad and Megara or Kronk and Megara? Belle and Shang or Belle and Eric? Jim and Ariel or Milo and Jane? Anastasia and Prince Derek or Anastasia and Shan Yu? Esmerald and Jim or Esmeralda and Frollo? 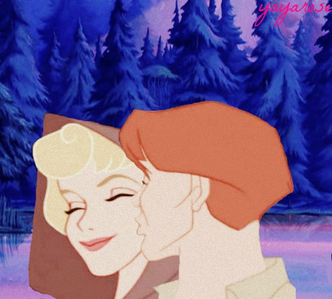 Cinderella and Quasimodo or Cinderella and Beast? (Charlotte) Lottie & Prince Edward or Lottie & Prince Charming? Basil and Bianca or Basil and Mrs. Brisby? Steele and Georgette or Steele and Jenna? Jack Frost and Merida or Jack Frost and Rapunzel? 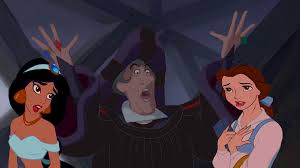 Frollo & Lady Tremaine or Frollo & Mother Gothel? Tarzan and Ariel or Tarzan and Esmeralda? Maleficent & the Horned King or Maleficent & Hades? Mulan and Sinbad or Mulan and Po? Nani & Denahi or Nani & Sitka? 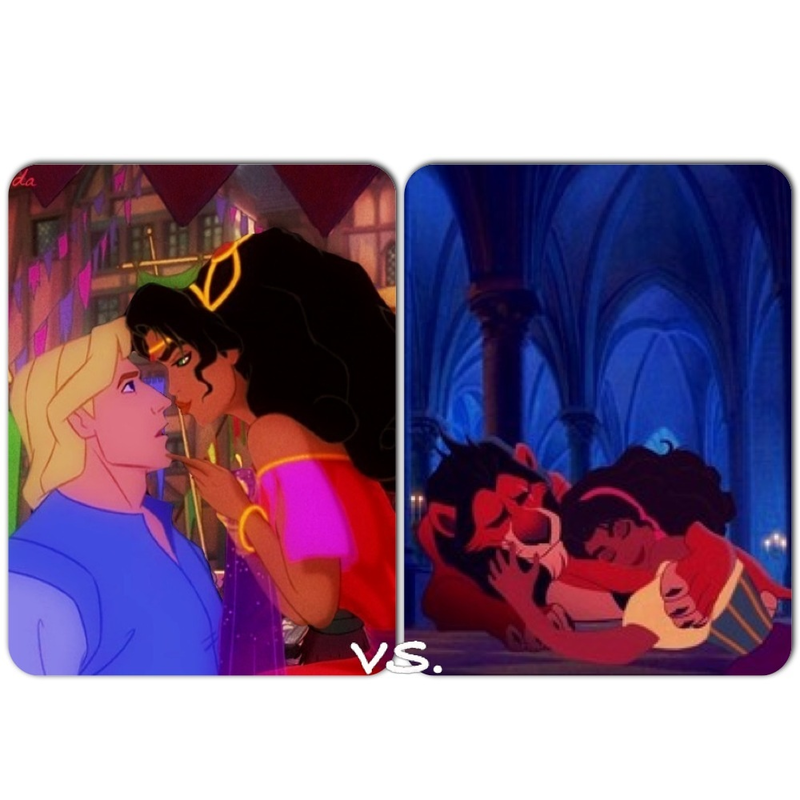 Jasmine and Frollo or Belle and Frollo? 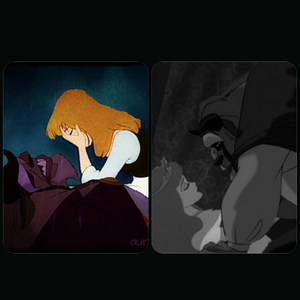 Beast & Aurora or Beast & Cinderella? 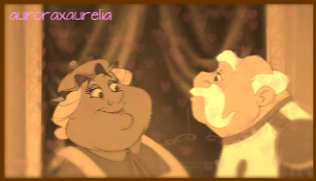 Mrs. Potts and The King (Prince Charming's Dad) or Fa Li and The Emperor (from Mulan)? 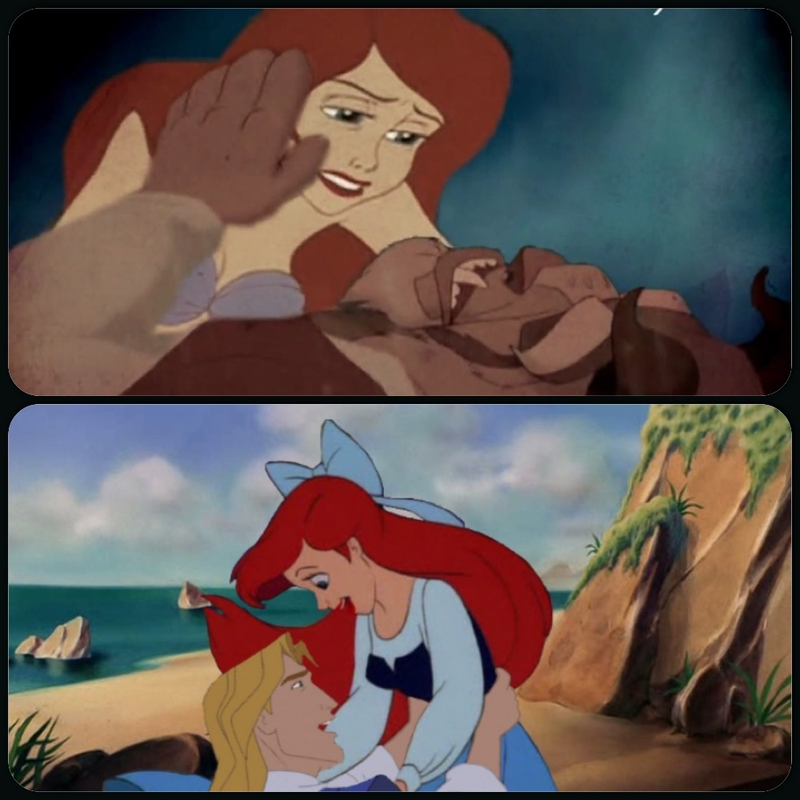 Anasasia and Eric or Dimitri and Ariel? 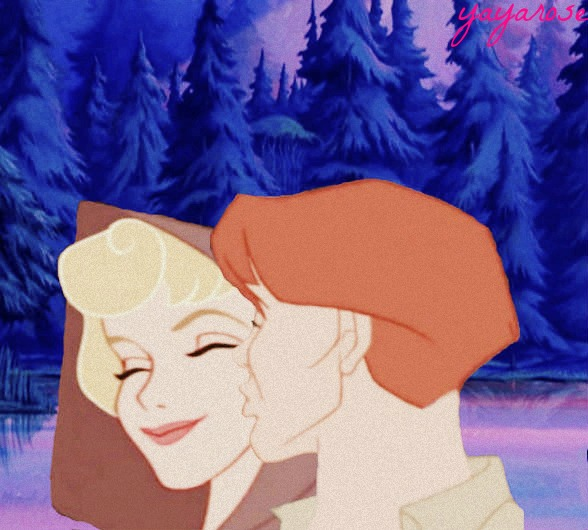 Jane Porter and Milo or Jane Porter and Thomas?